Most of Rabindranath Tagore’s popular stories drift towards sad endings like separation and sometimes death. One might get the feeling that all his stories are tragic. But the fact is, that he has written in every genre, from the complex to the eerie, from tragedy to hilarious comedy. Shesh rokkha is one such comedy which I already wrote about. Here are some more of the stories from the series on the Epic channel that have happy endings. Mrinmoyee is a happy go lucky teenage girl, often playing with the little boys in her village and stealing mangoes from the zamindar’s mangrove. Her world changes completely when she is married off to the zamindar’s son Anoop. Anoop, a lawyer student in Kolkata, was visiting his town when saw her playing with her friends and instantly fell in love with her. His widowed mother, though reluctant at first, gives in to her son’s request to marry the girl who often stole from their mangrove. Soon after marriage, Mrinmoyee’s freedom is quelled and told to behave the way a daughter-in-law should. Mrinmoyee, who never wanted the marriage to take place, demanded to know from Anoop why she was being punished, when it he was him who had fallen in love. Anoop realised that he had been hasty in marrying her without seeking her proper consent. Mrinmoyee’s father worked in another town and could not attend his daughter’s marriage since he couldn’t get a leave at short notice. 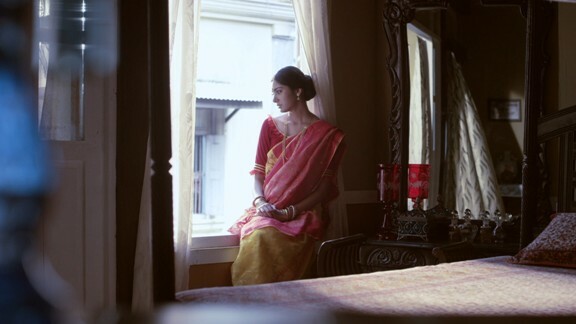 When Mrinmoyee seeks her mother-in-law’s permission to go and meet him, she refuses. So Anoop, without informing his mother, takes his wife to meet her father. Mrinmoyee is delighted to see her beloved father and the couple spend a few days with him. Mrinmoyee is thankful to Anoop for giving her this happiness and her anger towards him subsides. When they return, Anoop’s mother tells him to return to Kolkata to continue his studies and to take his wife along. Anoop is only happy and when he feels that his wife has started loving him, he tries to kiss her. But when she pushes him away in anger, he realises that he made haste again. He leaves her at her mother’s place and proceeds to Kolkata. But it is not long before Mrinmoyee starts missing her husband. It was obvious that she had fallen in love with him. Meanwhile, she gets the news that her mother-in-law isn’t keeping well, so she shifts back to her in-laws place to take care of her. Her mother-in-law recovers and soon, they start bonding well. But Mrinmoyee is still waiting for her husband to come back and yearns for him. Gauging her daughter-in-law’s desperation, Anoop’s mother decides to take her to Kolkata. Anoop is pleasantly surprised to see them there. But when Mrinmoyee and Anoop are alone they have a petty fight again. But this time, this fight ends with a kiss. A love story woven around the caste system and its repercussions. 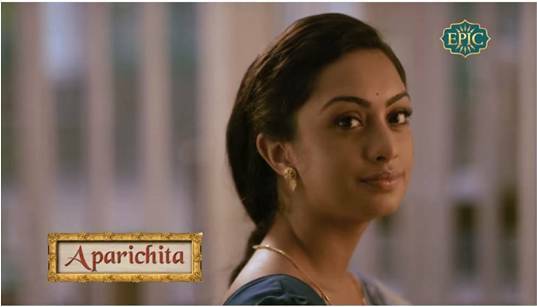 Hemant, belonging to a Brahmin family, falls in love with Kusum, the daughter of Chatterjee babu who lives in the neighbourhood, where Hemant and his family had recently shifted to. When the elders consent to the alliance, he marries her. His sister, Hemlata, too is soon to get married to Sumant, her classmate, with whom she had fallen in love with. His was a simple love story, so thought Hemant. Until he came to know something, which tore his world apart. He had known that Kusum had been wanting to tell him something. But he got to know about it from elsewhere. Sumant’s father came with a letter that he received which reveals that Kusum is not a Brahmin, but a Kayasth and hence he should break Sumant’s alliance with Hemlata. Kusum tells Hemant that she had been wanting to tell him before marriage, but her uncle, Pyarishankar, prevented her from doing so. She was actually Chatterjee babu’s friend’s daughter. She was adopted by him after her parents passed away. Hemant goes to Pyarishankar to ask him the reason for not revealing Kusum’s identity before marriage. Least did he know that his love story was fuelled with someone’s revenge. Pyarishankar tells him about the time years ago when he was surrounded by a group led by Hemant’s father, Harihar babu, accusing him of polluting his caste, when he sent his son-in-law abroad for education. Just as marrying into a low caste family was not allowed, going abroad and living in a foreign land was too, a complete no-no for strict Brahmins. So when Pyarishankar was given an ultimatum to either break off relations with his daughter, eat cowdung and purify his house with Ganga water, or leave the village, he chose to do the latter. He sold off his ancentral property and moved to Kolkata to assist Chatterjee babu. As luck would have it, Harihar babu and his family moved just opposite to Chatterjee babu’s house and he noticed that Hemant and Kusum were smitten with each other. He decided to fuel the love story, so much that the couple would become desperate, if they didn’t see each other for one day. When the matter of the alliance came up, Pyarishankar convinced both Kusum and Chatterjee babu separately, not to reveal Kusum’s real identity to them, else there could be an emotional fallout. Post marriage, before Kusum could garner the strength to reveal to Hemant, Pyarishankar wrote the letter to Sumant’s father revealing Kusum’s identity. Hemant becomes helpless. His father wants Kusum out of the house. Kusum had already packed her bags and was now ready to leave. But before she could step out of the house, Hemant stops her. 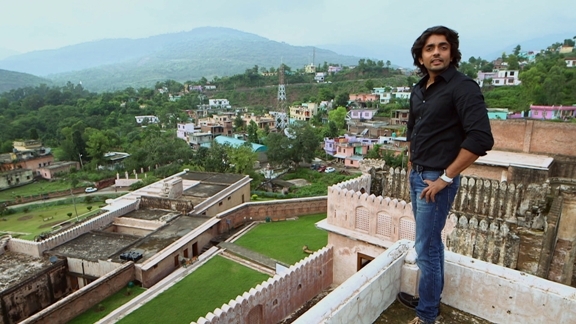 Harihar babu tells him to let her go and not to let his caste be polluted because of a girl. After she left, he would eat cowdung and purify his house with Ganga water and beg Sumant’s father to accept Hemlata’s alliance. That’s when Hemant says that he would sacrifice his own caste rather than sacrifice his wife, his love of his life. Hemlata too says that she does not want to marry at a place where her father would have to beg for her. Thus, Harihar babu gives up his demand and lets his family be. However, Pyarishankar doesn’t stop from showing up at his doorstep and asking if he needed cowdung and Ganga water, all in good humour. A beautiful story with dowry as a backdrop. Anupam and his widowed mother live with his maternal uncle, Ajit, who is a very dominating person. He fixes Anupam’s alliance with Shambhunath Sen’s daughter, Kalyani. After all talks of give and take have been completed, the marriage party reaches Indore which is the bride’s hometown. Before the marriage proceedings begin, Ajit asks Shambhunath to bring in Kalyani’s jewellery so that his jeweler friend could check and verify the authenticity of the gold. Shocked by this demand, Shambhunath asks Anupam whether he is okay about this. Anupam, living under the shadows of his uncle, nods in agreement. With a heavy heart, he asks his daughter, who is decked up in all bridal finery, to remove all her gold and give it to him. After the gold is certified by the friend, to be of the highest quality, Shambhunath takes it back and gives it to his daughter. With a silent consent they arrive at a decision. When Ajit is about to permit the marriage proceedings to begin, Shambhunath requests Ajit and everyone from the bridegroom side to have their dinner first. Once everyone had finished dinner, he cordially informs that the vehicles are ready and they can leave. That’s when Ajit realises that Shambhunath is breaking off the alliance. Shambhunath explains calmly that he doesn’t think her daughter would be happy at a place where they could think that her father might have stolen her property. Warning him with dire consequences, Ajit leaves in a huff. Years later, now living independently with his mother, Anupam comes across Kalyani, while travelling in a train. Memories flock back of the time when he had made the mistake of remaining silent, as a result of which his marriage was broken. He sees Kalyani along with some orphan girls to whom she is telling stories and keeping them in good spirits. He decides to rectify his mistake and meets her father. He was no longer under his uncle’s shadow and thus could seek forgiveness and Kalyani’s hand in marriage. Shambhunath tells him that he never blamed him and so there is no need to forgive him. However, he leaves the decision of marriage to his daughter. Kalyani replies that she is thankful that the marriage was broken for that had opened doors for her which wouldn’t have been possible if she was bounded in a marriage. She now takes care of orphan girls and wants to provide them a shelter and open a school. The happiness she finds in working for them is limitless. Anupam sees the joy on her face and realises he has a lot to learn from her. He gladly decides to assist her in her work, not because someday she would accept his alliance, but because someday he could become a better person. This was a story which did not end in marriage, yet it ended happily. The story is about Kamala, an orphan, who lives with her paternal uncle’s family. Though her aunt despises her, her two younger cousins dote on her. She is married off to be the second wife of the son of the local zamindar. However, when her bridal party is making the journey through the forest, dacoits attack them to steal all the gold and money. Just then, a group of Muslim men, led by Habir Khan and his son Nawaz, pounce on the dacoits and beat them. The dacoits run away, but so do everyone in the bridal party and Kamala is left alone. 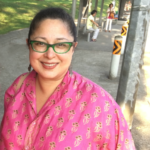 Kamala is respectfully brought to Habir Khan’s home and told that she is safe here. She yearns to go back to her uncle’s place but her uncle and aunt refuse to accept her as she spent the night in a muslim home. A temple near Habir Khan’s home, built for his Hindu mother, provides peace to her. She finds other girls like her, who believe that this Muslim area is the safest place for Hindu girls in the whole of Bengal. She starts to learn horse riding and defense tactics from Nawaz. Her friendship with him soon begins to blossom and they fall in love. Habir Khan does not approve of this alliance. However, when Kamala says that she had never earned so much respect, never felt so safe before, she would rather stay with someone who could protect her, Habir Khan agrees to the match. Kamala decides to convert to Muslim and serve both faiths. Sometime later, another bridal party is attacked by dacoits. The Muslim group now includes a woman too. 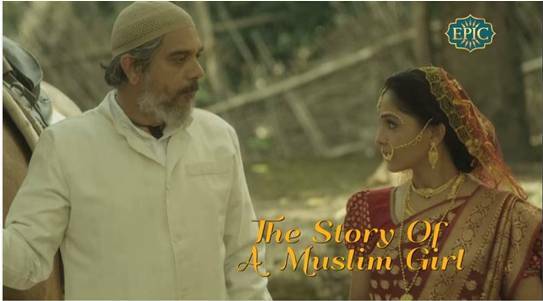 Kamala, dressed as a Muslim, rescues the bride, only to realise that she is her cousin, Vimala. She takes Vimala back to her uncle’s house and requests them to accept her, assuring them that no harm has befallen on her sister. Vimala unites with her parents. Before taking their leave, Kamala tells her cousin that her muslim sister will always be there for her. Kamala returns back to her world where she is respected and loved unconditionally. Daalia is a cute love story based on the true incident of the mughal prince, Shah Suja (brother of Aurangzeb), seeking asylum along with his family in the Arakan kingdom, when Aurangzeb is looking to kill his brothers to usurp the throne. The Arakan king, however, goes on a massacre spree when Shah Suja refuses his alliance for his daughters. As per Tagore’s story, Shah Suja had three daughters Zulekha, Roshanara and Amina. The Arakan king wanted them to be married to his three sons Som, Mangal and Budh. However, when Shah Suja refused, the king ordered them to be massacred. Shah Suja and Roshanara were killed. Rehmat, the trusted servant of Shah Suja, managed to rescue Zulekha but Amina was swept away in the river waters. Amina was rescued by a fisherman, who took her in as his daughter but made her do all his tasks. Years pass by and Amina meets Daalia, a young fisherman, who soon becomes her best friend. Word spreads that the current king of Arakan, Budh has sent word to Amina’s fisherman father that he wished to marry Amina, whom he had seen in the forest sometime back. This news reaches Zulekha who has been living in hiding. She had been searching for Amina since long. She along with Rehmat and some trusted helpers goes in search of her long lost sister. She soon finds her and the sisters have an emotional reunion. Zulekha reminds Amina of the massacre of their family and tells her that they should take revenge. She tells her to accept the alliance so that Amina will be able to meet Budh and kill him. Zulekha meets Daalia and is amused by the friendship he shares with Amina. She soon understands that they are perhaps more than just friends. Accepting the king’s proposal, everyone starts their journey towards the Arakan capital. Along the way, Amina realises that she is in love with Daalia, but Zulekha reminds her that taking revenge is her foremost duty. Amina is however saddened that Daalia is hardly perturbed with regard to her marriage alliance. He is, in fact, in a more joyful mood. Soon, the King’s men meet the group and only Zulekha and Amina proceed with them. The rest of the group turns back to return. At the palace, Amina is decked up by Zulekha for the marriage. She hands her a dagger to hide in her clothes. However, word comes that the King would like to meet Amina before the marriage. Zulekha suggests her that this is an opportune moment for her to take revenge. Amina enters the King’s room. But before she could attack him, she gets a shock upon seeing him. Dressed in King’s clothes is her Daalia. She shrieks and falls unconscious. Hearing her shriek, Zulekha rushes in and finds Daalia. Daalia confesses that he is, in fact, King Budh. He goes on to tell her how he had seen Amina in the forest and fell in love with her instantly. But given their history, he knew it would be difficult to marry her. Hence, he met her as a fisherman and befriended her first. He knew his elders had done horrific things. But he didn’t want to fuel the hatred. He wanted to give love a chance and improve relations. Zulekha gives in to his plea and decides to let revenge take a backseat and let love to rule the roost. Amina soon comes to and is happy to marry Daalia, the king of her heart. 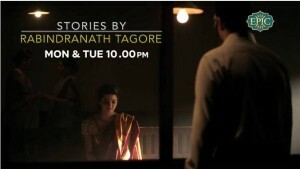 With this story, this series on Stories by Rabindranath Tagore comes to an end. 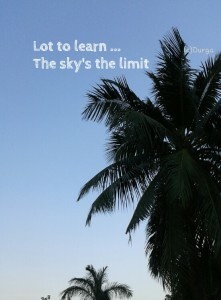 thanks, durga, enjoyed reading… made me want to read the original… hahha that’s quite a feat.